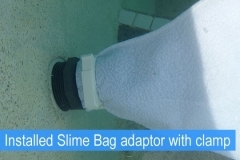 The Slime Bag™ (patent pending) is a unique combination of porous material that allows for fine particulate filtration (1 micron) while allowing water to permeate back into your pool. To give you an idea of how small that really is; a typical grain of sand is between 100 and 500 microns and a red blood cell is about 5 microns. 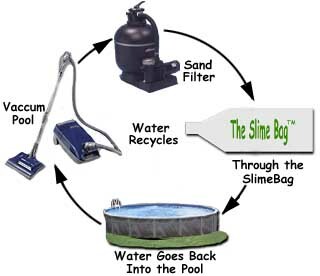 The water that passes through the Slime Bag™ is recycled back into your pool. 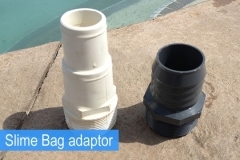 This saves water, heating costs, chemicles and vacuuming time. The Mini Slime Bag™ works the same as the super slime bag for your spas or hot tubs. 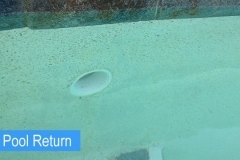 The water that passes through the Slime Bag is recycled back into your pool. 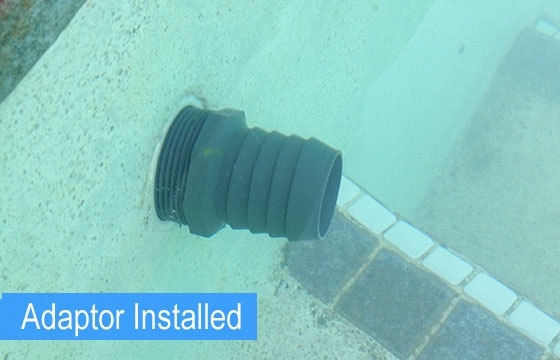 This saves water, heating costs, chemicles and vacuuming time. Over the past few years the market has seen many new “blow-up” pools (i.e. Intex). 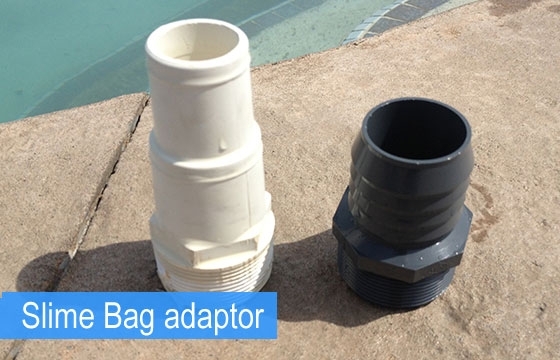 The Slime bag is a perfect addition to any Intex pool where you require part number 59900E-6.The majority of our customers have problems with the filtration package in that the “paper” cartridges just don’t filter adequately.Now, you have a solution! 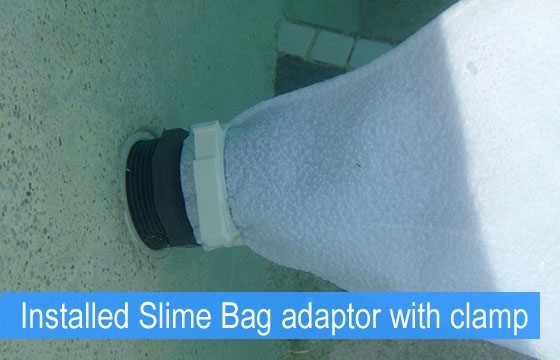 The polishing Slime Bag, Model # SB1.5012, 12″ x 30″ can be adapted to these pools quickly and efficiently.The Slime Bag has ability to filter the water down to 1um. 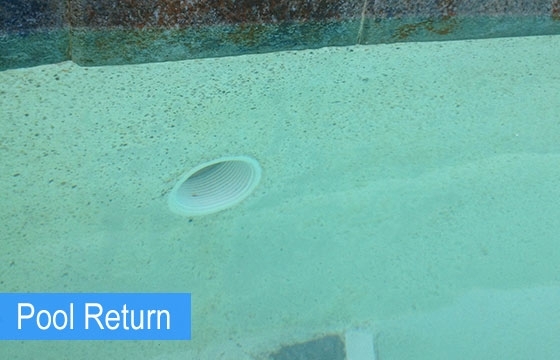 Get rid of your cloudy pool water. Also, Is your current Intex filter cleanable? 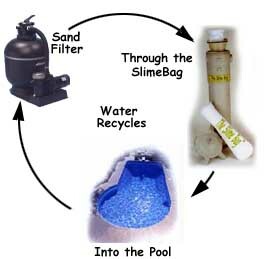 Yes, The Slime Bag pool filter is cleanable and reusable. 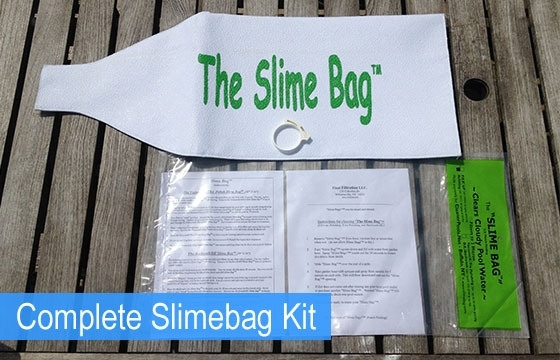 Below are step by step instructions for cleaning the Slime Bag. 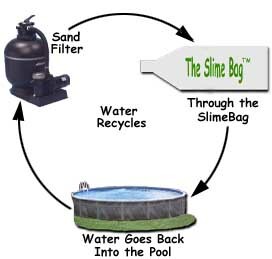 Turn “Slime Bag™” upside-down and fill with water from garden hose. 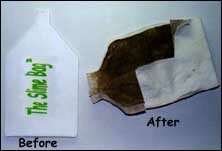 Spray “Slime Bag™” from inside-out for 30 seconds to loosen dirt/debris from inside. Turn “Slime Bag™” over the end of a broom handle (or similar pole). Take garden hose with sprayer and spray from outside for 1 minute on each side. Dirt will flow downward and out of the “Slime Bag™” opening. 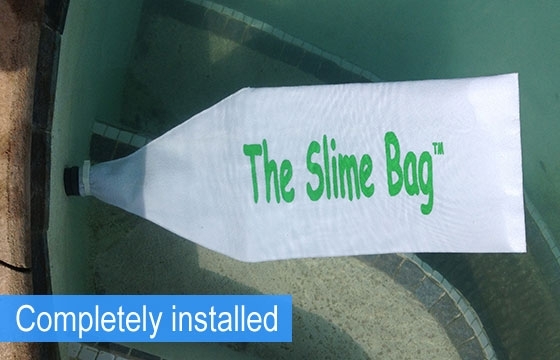 The “Slime Bag™” can also be cleaned with a high-pressure washer held 8-10″ away from the surface. You are now ready to reuse your “Slime Bag™”. 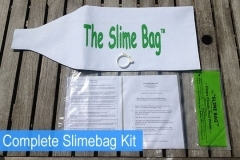 If dirt will not come out after rinsing, it’s time to replace your “Slime Bag™”. Below is just one of many testimonials from one of our customers we have received over the years. I received your product the Vacuum/X-Polishing bag on Friday late afternoon. I put the bag on at 6:30 PM Friday by Saturday 6:30 PM the pool was crystal clear.Thanks for producing a great product, should save me hundreds in chemical costs.